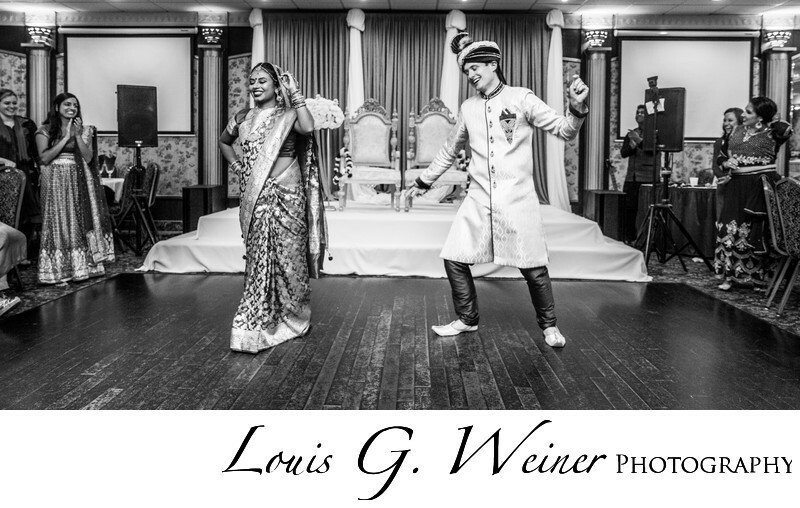 Bombay Banquet Hall in Ontario California with Chris and Shefah, When these two got up and surprised their guest with a wonderful Indian choreographed dance everyone went crazy. They are so much in love, they had spent some time apart for school and the loving looks where strong when they reunited for the wedding. I love the patterns of the Indian fashion they are wearing, The color was beautiful, but I loved drama and impact of this Black and White photograph. Everything was nice at the Bombay Banquet Hall in Ontario California. Location: Bombay Banquet Hall, 405 N Vineyard Ave Suite G, Ontario, CA 91764 .